The SJZ Collective has embarked on their first international tour as a Collective. 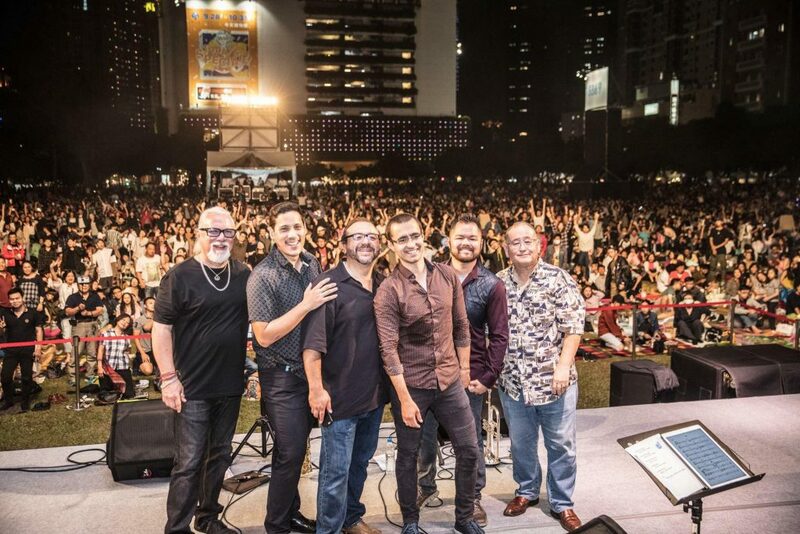 During their tour of Taiwan, they are scheduled to perform at the 2018 Taichung Jazz Festival, the Sappho Club in Taipei, and the Blue Note in Taipei. In this special blog post, the drummer and founder of the Collective Wally Schnalle writes in about their first big performance. 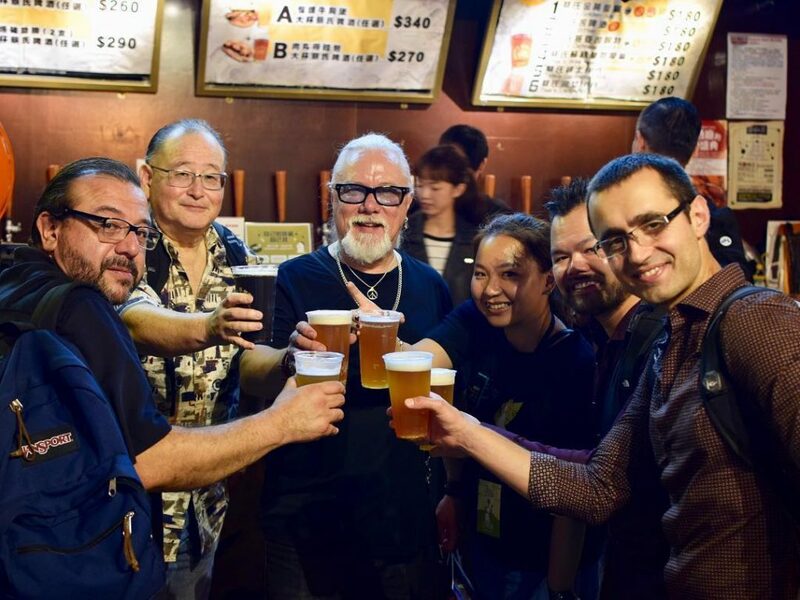 (Tuesday, October 16, 2018) “Our time in Taiwan has been well worth the thirteen hours in a cramped airline seat to get here. Everyone we’ve come in contact with has been friendly and helpful. 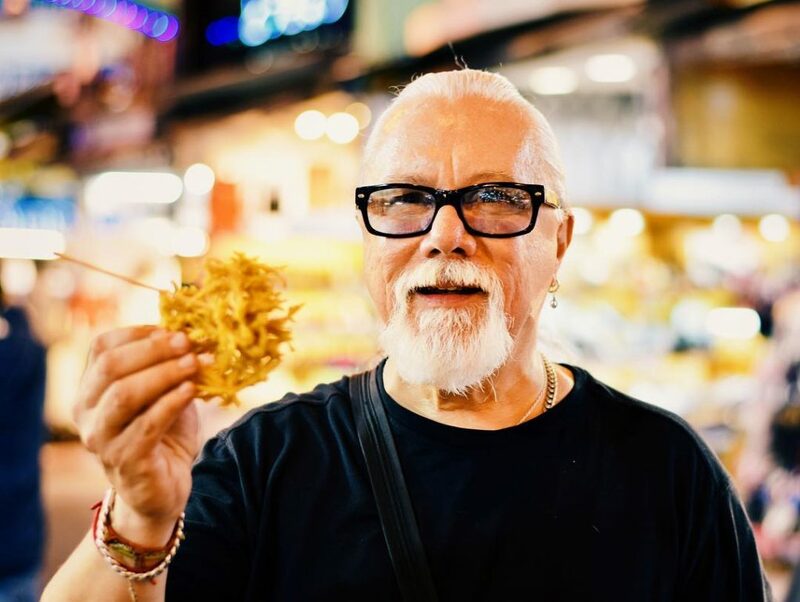 The food has been amazing and the Night Market experiences we’ve had make me feel like Anthony Bourdain. With hundreds of scooters sharing the streets with pedestrians, it’s a new experience that keeps you on your toes. Also, having bubble tea in the city were it was created is not to be taken lightly either. 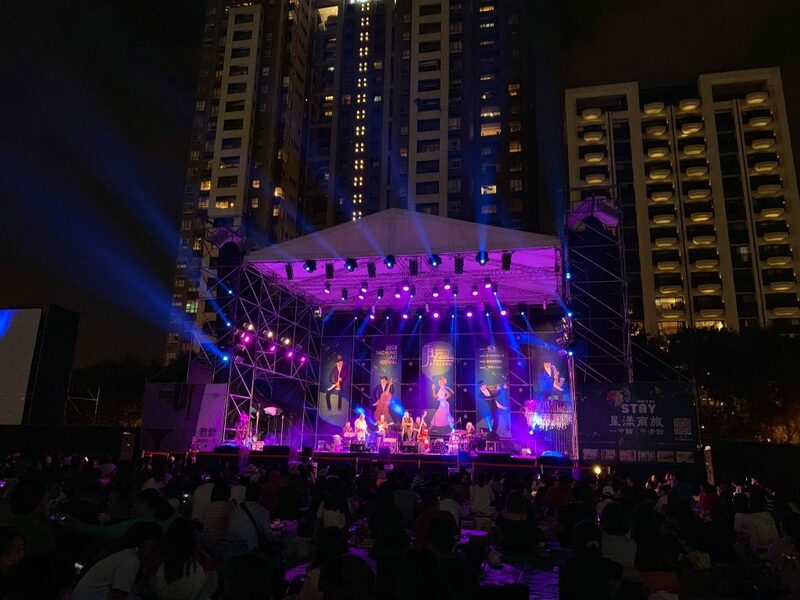 “So far on our journey, the most amazing experience has been performing for thousands at the Taichung International Jazz Festival. Hristo Vitchev, John L. Worley Jr, Brian Ho, Oscar Pangilinan, Saúl Sierra and I all played our versions of Thelonious Monk’s compositions. My arrangement of ‘Green Chimneys’ opened the show followed by Hristo’s beautiful arrangement of ‘Round Midnight.’ Brian contributed two arrangements to the evening’s show; ‘Shuffle Boil’ and our show closer, ‘Teo.’ The audience was also treated to one of Monk’s most beautiful melodies in Oscar’s arrangement of ‘Ask Me Now.’ The festival asked us to include a song to fit this year’s nature theme, so I contributed a 7/4 groove version of ‘Honeysuckle Rose,’ a tune often played by Monk. “The staging, sound, lights and equipment were all first class but by far the appreciative audience of thousands is what really made the evening special. That’s what we as musicians do this for. We practice, rehearse, travel, chase gigs and study, all for those great musical moments like last night. Experiences like this are the culmination of many people’s efforts coming together to create a singular moment between the musicians and the audience that cannot be replicated. For more photos of the SJZ Collective’s tour, follow San Jose Jazz on Facebook and Instagram!